Cold sores are a common condition. In fact, 25 per cent of us suffer from recurring cold sores and more than 50% of us carry the herpes virus responsible for them. Cold sores are characterised by small blisters on your lips and are often confused with canker sores, which present similar symptoms. If you suffer from cold sores and you’re wondering if they will impact a scheduled dental appointment, we recommend you give us a call. Generally, our recommendation is to let your cold sore heal before an appointment, to decrease the chance it will spread on you or to others. Don’t worry, most cold sores take less than ten days to go away! 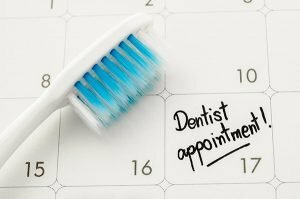 At Cardiff Dental we’re always happy to reschedule your appointment! Anyone who has suffered the inconvenience and embarrassment of cold sores knows the symptoms of a cold sore coming on: a tingly, itchy, hot feeling on the edge of your lip. And because cold sores can be caused by stress, they sometimes seem to strike when they’re least welcome; just before a party, job interview, or some other important occasion. The first cold sore is often the worst. But after that the virus lurks in your system forever, lying dormant beneath your skin’s surface, waiting to spring back to life when circumstances are right. At Cardiff Dental we know that fighting back hard against cold sores when they first start to erupt is one of the best ways to stop them in their tracks, protecting your lips and mouth. Having your prescription already in hand can save you a trip to the doctor and help you beat the virus back. So if you are a regular sufferer, visit your doctor before an outbreak. Then, at the first symptoms, you can get down to the pharmacist and start fighting back against cold sores. immediately. Poking, rubbing, or peeling may give satisfaction at the moment, but only extends the healing process and helps spread the virus. If you accidentally do touch a cold sore, wash your hands with an antibacterial as soon as possible. Applying a cool, wet towel to the cold sore three times a day for 10 minutes can treat redness, pain, and swelling. According to the Mayo Clinic, cold compresses can also break down crusting and speed healing. While citric acid is good for you in an overall sense, it can aggravate a cold sore, leading to more pain. During a cold sore breakout replace citrus fruits with Vitamin C tablets, which help your body’s immune system battle cold sores. The embarrassment and inconvenience of a cold sore is enough to deal with, not to the mention pain. Take ibuprofen or acetaminophen (mind any warning on the label) to treat the pain and swelling caused by a cold sore. Petroleum jelly can soothe painful and red cold sores, also providing a barrier between the virus and the rest of the body. Smearing petroleum jelly over a cold sore, particularly in combination with other tropical products, can bring extra relief. Over-the-counter (OTC) treatments can help ease the pain caused by cold sores. Benzocaine, Docosanol, and benzyl alcohol are ingredients in topical medications that can relieve cold sore symptoms and reduce pain. If you have any questions about this, ask your pharmacist. Aloe Vera is often recommended for sunburns, minor cuts, and similar skin issues. Putting Aloe Vera on a cold sore a few times a day may decrease discomfort and help facilitate healing. If you know that too much stress or exposure to too much direct sunlight causes you to break out in cold sores, avoid those situations whenever possible. By avoiding triggers, you may be able to prevent cold sores, stop them before they take hold, or at least keep them from becoming worse. 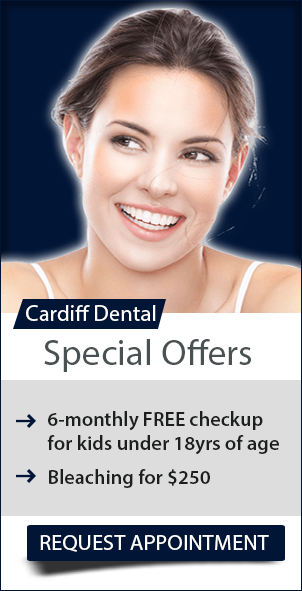 Call (02) 4954 6888 or visit us at 34B Kelton St. in Cardiff. Gum Problems – Hоw to сurе them?